Good morning from EPHQ everyone! I will keep today’s mention quite brief as I believe what I’m sharing does not need to be verbose. 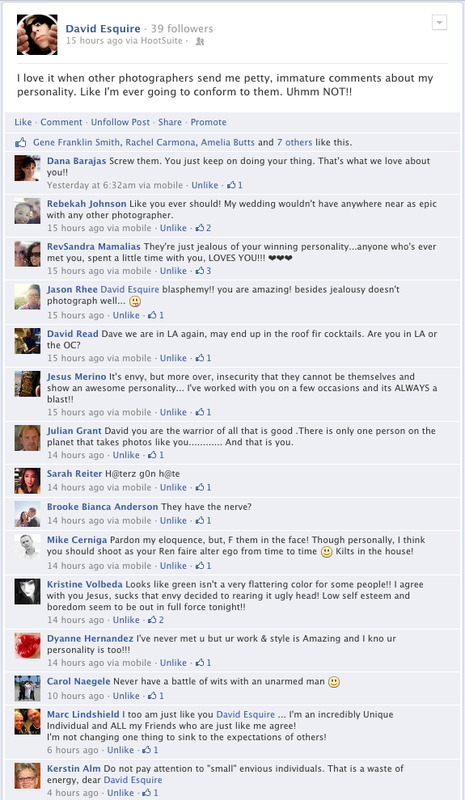 I recently received a note on a Video Recap I shared on my You Tube Channel about my photo shoot with professional Actor: Matt Crabtree (who I worked on the movie; “Skyfell (And I Can’t Get Up)” for The Toscars hosted by Brits in LA) from a photographer colleague that was bashing my personality. Since I screen all my comments, it didn’t post, but nonetheless – I was surprised to receive such a harsh note from a fellow photographer. Especially when in a creative industry – there’s an unspoken rule to encourage each other’s individuality. After I shared this experience on social media a few of my friend’s, colleague’s & client’s shared their thoughts about why people should be themselves. As I read over the comments, it drove it home that much further that we should live our lives to our fullest and always be ourselves. In the end, we’re going to be the best person for the job!